A bunch of dead bodies lie near her. She cannot be attacked by the alliance. And she doesnt attack the alliance, although she's marked as "aggressive" toward the alliance side. Because she's not marked for "pvp"
Her pet can be attacked ( Frostbite - 15k health ), but Frostbite wont attack if you go near it. Her pet is excelent to train weapon skill on. It respawns about 2-3 seconds after you kill it. Possibly a reference to George Martin's Game of Thrones series of fantasy books. 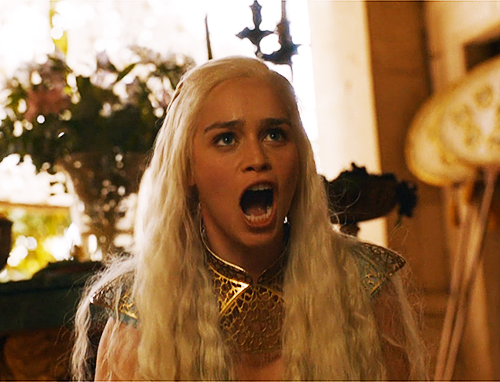 The character Daenerys Targaryen is given the title Khaleesi at some point in the series. But it's kinda a stretch. Most of her armor is a recolor of the mail hunter/enh shaman "set" that can be found in hellfire ramparts/blood furnace normal version. She reminfs me of Gigi, only if she had her hair in a pony tail. Well, her shoulders are level 60 cryptstalker. seems a rather randomly put together hunter set of gear. I'd actually have guessed she's another memorial NPC to some actual player, like the Kaylee Dax one. It may sound weird, but i think this would be the second reference to George Martin's A song of Ice and fire, notice that in warcraft III The frozen throne, the last mission of the undead campaign is called 'A simphony of Frost and Flame' sinonym of 'A song of Ice and fire' in my opinion. Her armor - minus the shoulders which are Cryptstalker and now only available via Black Market - is an unavailable gray/purple recolor of the Beaststalker Dungeon 1 set 野兽追猎者, not Giantstalker as stated below. There is one full recolor. There are also a few pieces that make up a partial third recolor, three of which are crafted with leatherworking: the chest, waist, and wrist. The Dungeon 1 set can be purchased with Darkmoon Faire tickets from 巴伦姆. The full recolor pieces all drop from bosses in BC dungeons. The Beastmaster Dungeon 2 set 兽王 is a fourth recolor, although the chest is a different piece. All pieces can be purchased with Darkmoon Faire tickets as well. The head can also be purchased from 商人纳拉苏 if you are Exalted with the Kurenai. I very much prefer the gray/purple recolor Khaliisi is wearing and am sorry to see it's not ingame. Me, being the idiot that I am, thought it was a player camping for a time-lost spawn. Every day, while doing dailies for argent tournament, I would wave and say hello. Often wishing her "happy hunting". It wasn't until today that her constant silence started to get suspicious. I would say hi, she would say nothing. I assumed she was just AFK.